Share the post "Different Types of Tea for Different Moods"
A cup of tea can heal, energize, stimulate and uplift! Tea boosts your mood, improves your health, heals emotional wounds and dissolves cultural barriers. It’s like our very own magic potion! While the many health benefits of tea are widely accepted and known, it is the little known influences that tea has on our moods that make this concoction so special. Different brews have a different impact on your mood. Which is why we recommend that you add more than one type of tea to your grocery list and so you can sip on the one that suits your mood best. 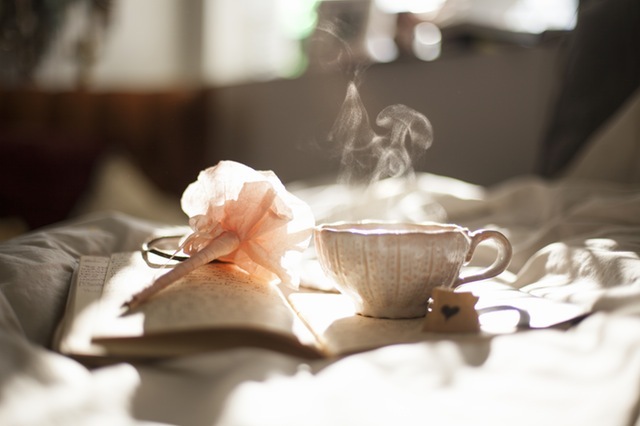 Read on to find out about some of the helpful side effects of a cup of tea and the best choice of tea for different moods. When you are feeling down, pick a cup of citrus blend tea. Citrus teas are known to boost your mood and bring a smile to your face. So when the world is pulling you down, add a slice of lemon or orange to your tea brew and enjoy! If insomnia is bothering you, defeat it with a cup of chamomile tea. 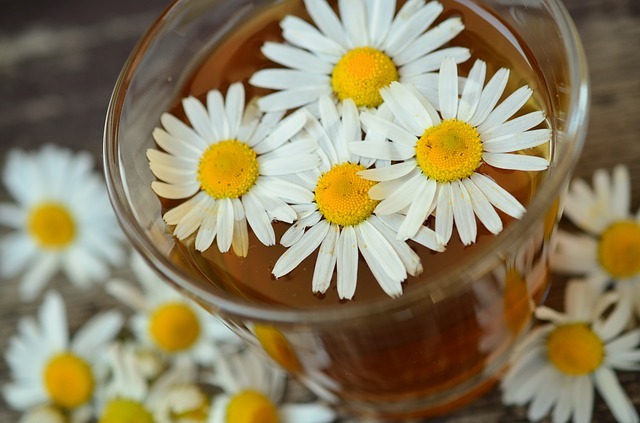 Chamomile tea will relax your senses and reduce your stress and anxiety. To make the tea more effective add a little lavender flavor and let its aroma therapeutic qualities kick into gear. When you are angry or upset or just need a mood enhancer turn to a perfectly brewed Indian Masala chai. The spice and sweet aromatic tea contains all the necessary herbs and spices like ginger, cardamom, etc. that are known to promote positivity and secrete wonderful hormones like serotonin. Its depth and flavor will transport you to a happy calm place and everything will be right with the world again. When you are anxious and worried, let a cup of jasmine tea come to your rescue. Taking in the fragrance of jasmine tea can reduce your heart rate and will have a sedative effect. You could otherwise have white tea, a comparatively lighter tea which is easy to sip on has herbal benefits. When you need your creative juices to flow in or put your best food forward, or for the matter just fight off the sluggishness and get back to being productive, nothing can help you better than Green tea or Peppermint tea. Both these teas will fight stress and increase mental alertness almost instantly. Well, this is not really a mood, but getting rid of the nagging thirst on a hot day is surely a relief. When water alone doesn’t do the trick, try a cold cup of Oolong tea or barley tea. The summer heat will bother you no more!